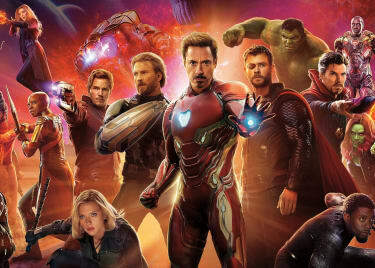 Next year’s Avengers 4 will mark both an end and a beginning for the MCU. Many of the franchise’s greatest stars to date are expected to bow out, including the likes of Robert Downey Jr. and Chris Evans. Other heroes could step up, and hints have suggested brand new franchises such as The Eternals. 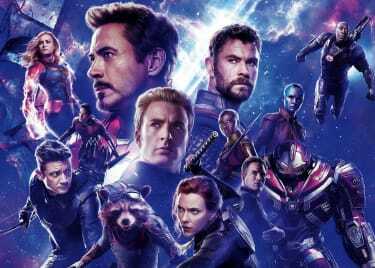 The really exciting possibility is that heroes who have traditionally stood on the sidelines – these characters who’ve essentially been second-tier Avengers until now – will get the chance to star in their own films. Marvel is already working on a Black Widow movie, which will presumably release in either 2020 or 2021. Here are our top picks for the other Marvel characters who deserve their own solo films. First up is James Rhodes, a.k.a. War Machine. Rhodey has essentially stood in Tony Stark’s shadow; he’s the military man who stole a suit of armor from his best friend and became a symbol to the world as the Iron Patriot. The decision to serve as an Avenger cost Rhodey severely, and he was even left crippled; it took Stark’s genius to allow him to walk again. It’s generally believed that Avengers 4 will see either the death or retirement of Iron Man. How would that affect his best friend? If Tony Stark dies, then Rhodey will want to live up to his legacy, and he’ll approach the role of War Machine with a new sense of purpose. In the comics, Rhodey even became an all-new Iron Man for a while. Perhaps he’ll swap his distinctive grays for a slicker red-and-gold look in honor of his fallen friend. But a War Machine movie would be more than just an Iron Man Redux. The real question is how James Rhodes reconciles his heroism with his duty as a soldier. Unlike Tony, and indeed unlike any of the other Marvel heroes, Rhodey operates as a hero within the confines of a command structure. That means he doesn’t get to make his own calls, but instead obeys orders. At the same time, he’s a high-level enough officer to have political clout in his own right, so sometimes he’ll have the ability to challenge those orders. The balance would be a fascinating one, and would make a War Machine film unlike anything we’ve seen in the MCU. Tessa Thompson’s Valkyrie was one of the standouts of Thor: Ragnarok. She’s a legendary Asgardian warrior woman whose mere existence left Thor in awe. She’s the last of her people and a powerhouse who can cut a swath through an army of foes. What’s more, if Chris Hemsworth does bow out of the MCU in Avengers 4, a Valkyrie movie would ensure that those Asgardian themes and concepts aren’t lost to the MCU. Marvel received a lot of flak for cutting a scene in Thor: Ragnarok that showed Valkyrie was interested in women. 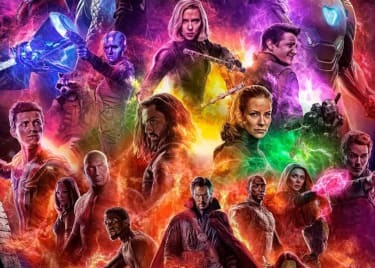 Since then, Kevin Feige has reassured viewers that the future of the MCU lies in diversity, and has promised at least two major LGBTQ heroes. He assured that one of them had already been seen, and that’s presumably Valkyrie. It would be great if, rather than criticized for “gay erasure,” Marvel decided to place one of their LGBTQ heroes in the place of franchise lead. Anthony Mackie’s Falcon is in a similar position to War Machine; he’s traditionally viewed as a sidekick. It’s time for Sam Wilson to become a franchise leader in his own right. A combat vet who trained as part of a team of elite paratroopers, Falcon left the military after losing some of his closest friends. He struggled with PTSD, then fell into Captain America’s orbit. Although technically he’s just a guy with wings and a couple of guns, Falcon always acquits himself well on the battlefield, even getting in blows against members of the Black Order in Avengers: Infinity War. A Falcon movie could take one of two angles. The first could take inspiration from the comics and see Falcon become Captain America. Nick Spencer’s Captain America: Sam Wilson book saw Falcon wrestle with what it means to be a POC Captain America, and that would be a fitting legacy if Chris Evans does leave the MCU. It would also be a powerful statement on Marvel’s part, assuring viewers that their commitment to diversity isn’t just a gimmick. The second could explore Falcon’s relationship to his old paratrooper unit. 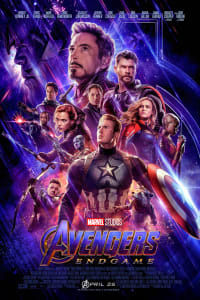 Imagine a scenario where one of them calls upon him for help, and Falcon learns just what his old colleagues think of the fact a military vet has become an Avenger. Do they see it as grandstanding, or are they proud of Sam Wilson? Do they resent the fact that he’s got this kind of recognition, and they haven’t? There’s a lot of story there. As the breakout star of Black Panther, Letitia Wright’s Shuri won fans across the globe. The character is markedly different from her comic book incarnation, with Marvel Studios reinventing Shuri as a young teenage genius. The movie version has proved so popular that, according to Marvel’s October comic book listings, the comic-book publisher is going to rework the printed version of Shuri to align with the MCU version. She may not be a scrapper like her brother, but Shuri clearly kept some of her best tech for herself, including those stunning “Cat’s Paw” gauntlets. What’s more, a Shuri film would allow Marvel to continue exploring the fictional African nation of Wakanda. Her view of Wakanda will naturally be very different from T’Challa’s experience of his homeland, and the two different windows into Wakandan culture and identity would be compelling when set next to one another. Shuri challenges tradition and her film could explore how Wakanda deals with the change she represents. In the comics, Shuri actually became Black Panther herself; while that hopefully won’t happen in the MCU until a lot further down the line, the Shuri franchise could even build up to that story. A Scarlet Witch movie is one of Marvel’s best options. There are intriguing parallels between Scarlet Witch and Captain America. In one Avengers: Age of Ultron tie-in comic, Steve Rogers even noted that she and Quicksilver were like him, as patriotic teenagers who subjected themselves to dangerous experiments in the hope of protecting their country. In Wanda’s case, that decision cost her everything. She even lost her brother. According to Vision, humans have an instinctive biological reaction when they meet a woman of Wanda’s power. She might be the most feared of all the Avengers, and it’s notable that she’s the only one of Cap’s Secret Avengers team to try to build a new life for herself while on the run. Still she lived in secret, with only Vision knowing who she really was. Meanwhile, Avengers: Infinity War suggested that Wanda has been experimenting with her powers; she seemed to operate on a level similar to the likes of Doctor Strange and possibly even Thor. She even held Thanos at bay while destroying the Mind Stone! Although the MCU version of Scarlet Witch was empowered by the Mind Stone, Kevin Feige has teased that she may actually be magic-based, in the same way as Doctor Strange. We’d love to see Wanda double down on her powers, and begin to work out what she can do, and how. This could also reveal just why people are really so afraid of her.